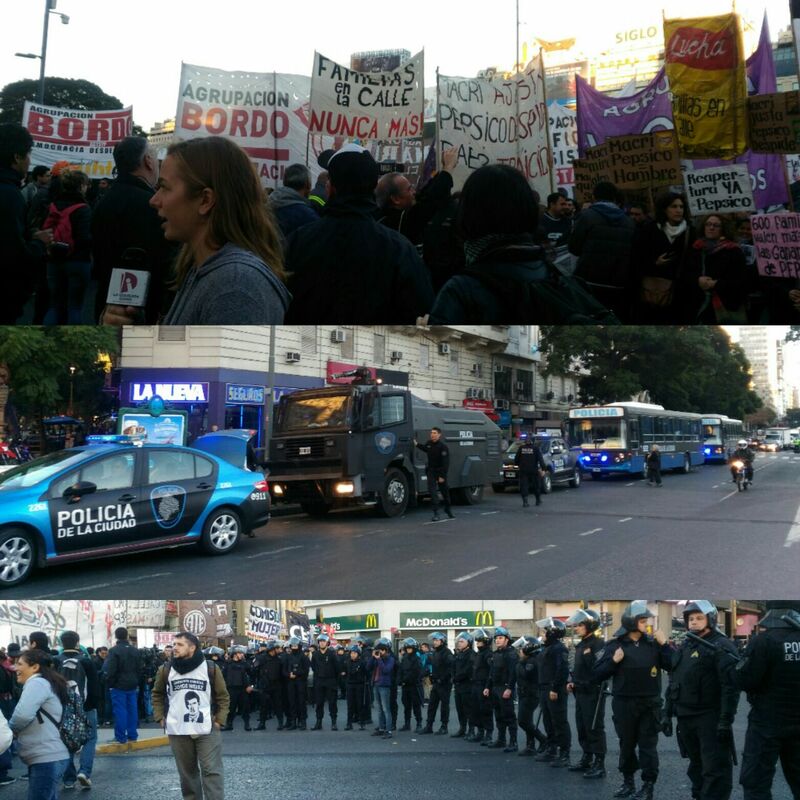 PepsiCo workers, students, and other sectors of the working class blocked a road in the center of Buenos Aires as part of the fight against the firing 600 PepsiCo workers. 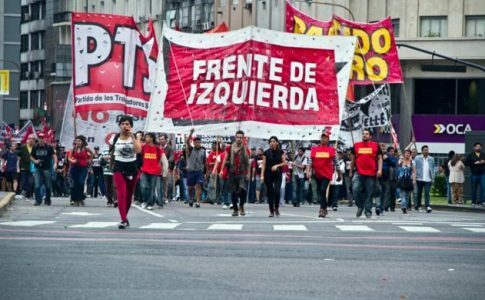 While Americans prepared to celebrate another 4th of July, workers and supporters gathered for a different kind of celebration in downtown Buenos Aires. 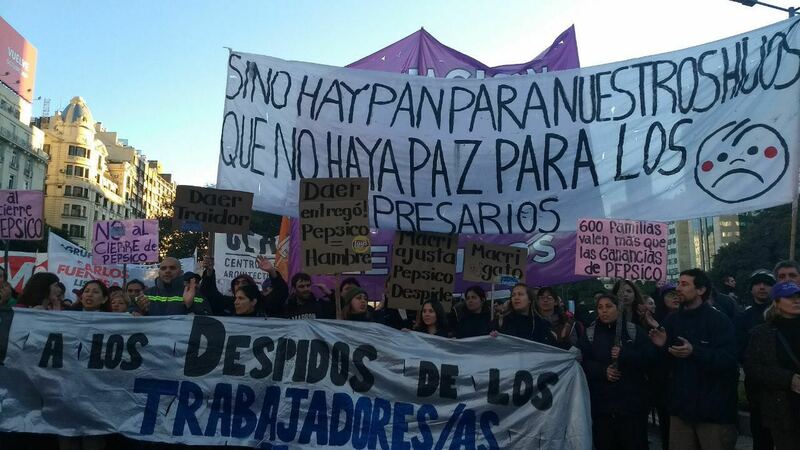 Workers, educators, intellectuals, students and political representatives came armed with signs, layers against the morning chill, and thermoses for seemingly endless cups of yerba mate to show solidarity with workers from PepsiCo whose factory in the north of the capital was closed last month. 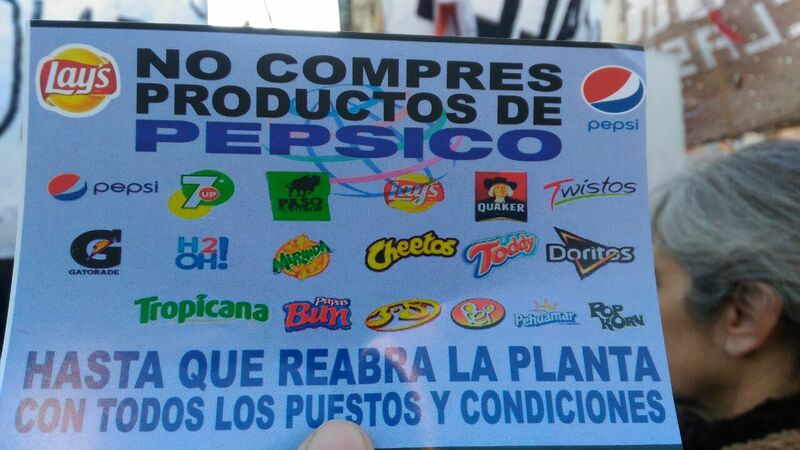 The multinational, PepsiCo, produces products such as Pepsi, Lay’s, Quaker, Dorito, Starbuck’s Ready-to-Drink, 7UP, Cheetos, Aquafina, Mountain Dew, Gatorade and Tropicana. Despite a lack of support from the union leaders, the workers voted in an assembly to fight against the multinational company and are currently occupying the PepsiCo plant. 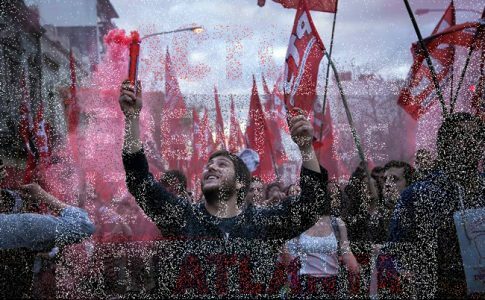 With all of the money and political powers against them, the workers are gaining popular support among the Argentine population as well as among the working class in Argentina and around the world. 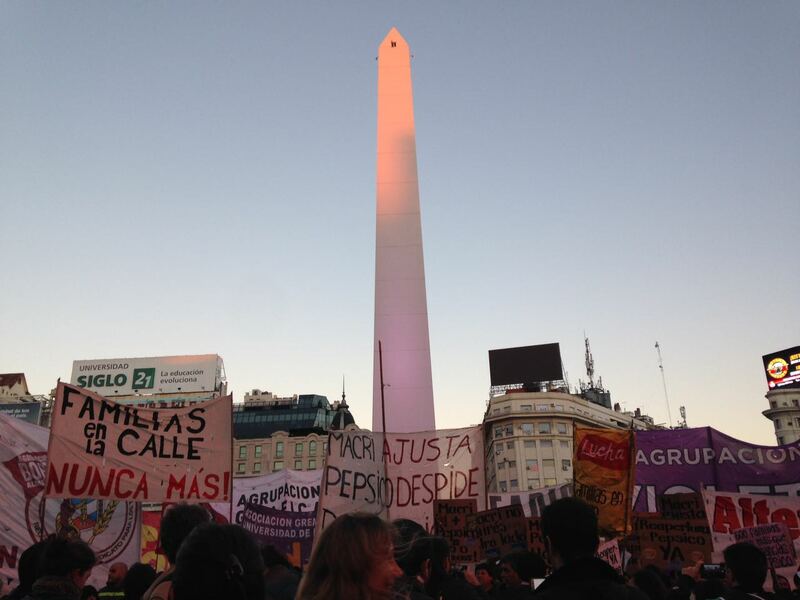 A significant crowd had already formed by the time the first light of the day began to glow against the white obelisk in the Plaza de la República. At 8am, the crowd spilled across the sprawling intersection, forcing motorcyclists to weave through the edges of the protest and cars to wait patiently (or not-so-patiently) for traffic police to guide them to a different route. An enthusiastic and positive attitude emanated throughout the crowd of supporters. 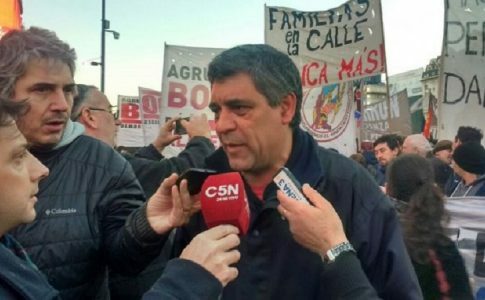 Reporters from local and national press snapped photos of political representatives, mostly from the socialist electoral coalition, El Frente de Izquierda y Los Trabajadores (The Left and the Workers’ Front), who joined the leaders of the action in the front, carrying large banners condemning PepsiCo, Argentinian President Macri and Rodolfo Daer, the absent and unsupportive leader of the food industry union. 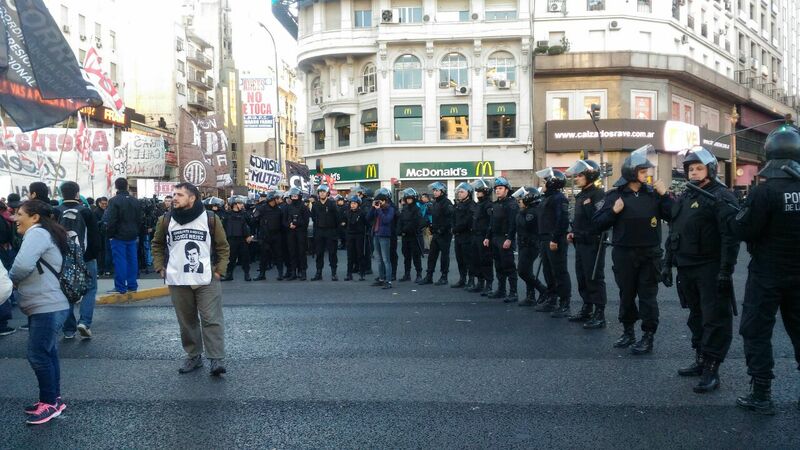 Riot police blocked several possible routes for the group to march, one of which led to the National Ministry of Labor, where the group aimed to end their action, leading the protesters to direct their march instead in a circle around the Obelisk. Several vans, two full-sized buses and an armored vehicle parked at the edge of the action brought riot police pouring single-file into the street, lining the edges of the action. They wielded batons, shields and, in some cases, canisters of tear gas. 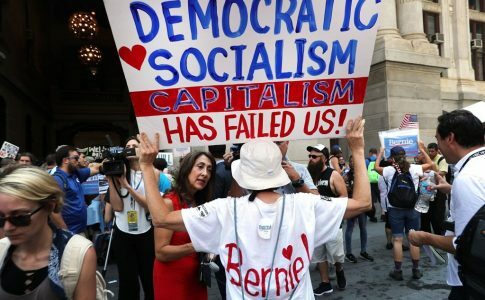 The crowd chanted pro-labor and worker unity songs, waved union flags and clapped along to the drum beating steadily at the front of the march. At 9:30am, as the crowd settled back to one side of the intersection, organizers addressed the crowd through a megaphone, thanking each group who had showed their support for the PepsiCo workers. The crowd cheered steadily for each group in attendance as police formed a solid circle around the crowd, standing firmly until the supporters at last dispersed, several hours after the first sign-bearers arrived. 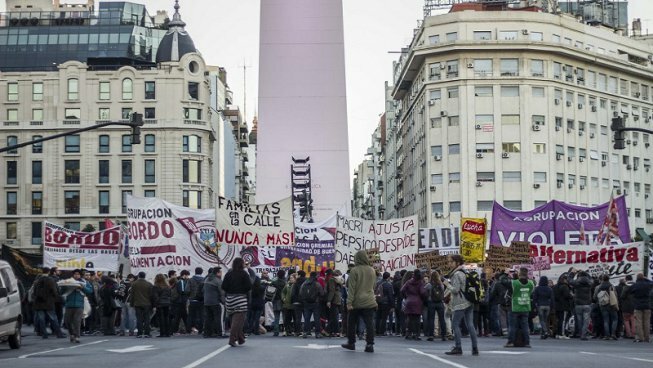 The protest, organized and direct in its message, successfully expressed the support for those left without jobs as PepsiCo moves operations from Vicente Lopez to their factory in Mar del Plata, over 250 miles south of Buenos Aires. 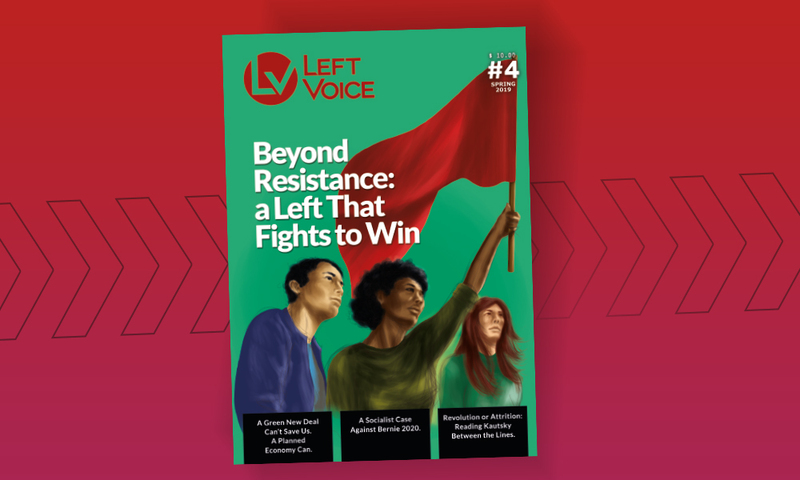 Workers and supporters came from many sectors of society, including education, auto-manufacturing, transportation, activism and others — solidarity was clearly widespread. Several of Congressional representatives leaders have expressed support for the workers as well. In the middle of an economic crisis, it is unfortunately not uncommon for factories to close or for workers to get fired. It is uncommon for workers to defy the union bureaucrats and a multi-national like PepsiCo to fight for their jobs. 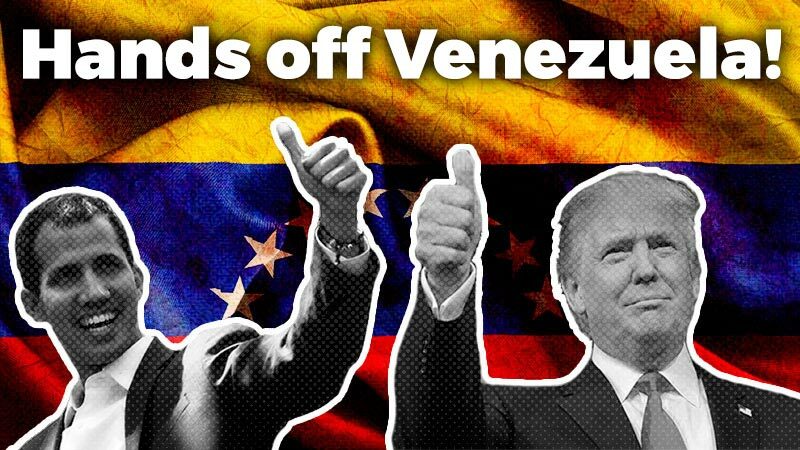 It is essential for people in the United States to demonstrate solidarity and support with PepsiCo workers as part of an anti-imperialist struggle for the working class.